(…continued) So now consider Mary and Martha who actually did face that very situation. What do you do when Jesus comes to visit? “Well,” thought Martha, “you work hard to make sure that you are the very best hostess you can be. You run around cleaning the house, slamming shut all the closet doors so Jesus doesn’t see all the extra clothes, and you cook up the very best meal you can.” That’s what you do when Jesus comes to visit, Martha would say. Jesus has been out on the dusty roads and trails day after day, dealing with the crowds and with his enemies, and he probably hasn’t a decent home-cooked meal in a long time; so of course, you are going to serve him the very best. But take note, Jesus did not say that right away, and, he did not tell Martha to stop what she was doing. He said that only in response to Martha’s harsh criticism of Mary, and her demand that Jesus tell her to get to work. Until Martha said that, Jesus was simply letting each woman do what they chose to do. The focus to the text is on paying attention to Jesus, and as you can see, both women are doing that. Martha is paying attention to him by getting ready to feed him, and Jesus doesn’t stop her. Mary is paying attention to him by listening to his every word, and Jesus praises her for that. Even after Jesus defends Mary from Martha’s criticism, he does not tell Martha to quit working and sit down. He just says that he is not going to tell Mary to get to work, because, he said she has made the best choice. But he doesn’t say that Martha made a bad choice and was wrong in getting the meal ready. He gently warns her about getting worried and upset about too many things, and he reminds her to not forget about the one thing that is needed most of all. But he doesn’t tell Martha to sit down and be quiet and listen. He allows her to continue with her chosen way of paying attention. The first lesson is that we too should pay attention to Jesus. But there is also another lesson, and that lesson is that there are many different ways that we can pay attention to Jesus. There are many different ways to be a Christian. Some, like pastors, are called to full-time work in the church. Most others have other jobs, but pay attention to Jesus by worshiping at church, and serving the church in a variety of ways. Some folks know their Bibles forward and backward, and serve the church as teachers. Others, may not know Matthew from Malachi, but you can depend on them to be on hand when a window in the sanctuary needs fixing. And still others, like Martha, are great in the kitchen, and can be found there whenever food is required at a church activity. There are still those who sell everything they have a give it to the poor and serve in poverty in remote places. Jesus calls some people to that kind of service, like he called on the rich young ruler in the Gospels to do that. Most others can’t do that, and that is why Jesus did not call on too many people to do that. Zacchaeus, for one, seems to have kept his job as a tax-collector, but vowed to use his wealth to help others, starting by repaying those he had cheated in the past. In the garden of Gethsemane, Jesus told Peter to put away his sword and not defend him. In the book of Romans, we read that some people serve God by bearing the sword for the God-ordained governing authorities. Some, like Martin Luther, served God by rebelling against the church, and reforming it. Others, like Thomas Moore in the same time period, served God by being loyal to the church, and seeking to be an honest and pious voice within it. There are many ways to be a Christian, many ways to serve God, and many ways to pay attention to God. The important thing, says Jesus in Luke 10, is that you do not forget that one thing that is needed most of all, that you do not forget God and faith and prayer. So if Jesus came to your house this evening, you could show your honor by serving him on your very best china and with the most expensive meal money can buy. That would honor Jesus, just like the great and expensive cathedrals of the world honor Jesus with their magnificent beauty. Or, you could honor Jesus with a humble meal of peanut butter and jelly sandwiches, served on paper plates, while you spend every minute he was there hearing his word and learning from him. You can’t go wrong if you goal is to pay attention to Jesus, either by serving or by hearing. But you don’t want to neglect Jesus; you don’t want to forget about faith, that one thing needful, and not let Jesus into your house or your life. There are lots of ways to be a Christian, but one way to not be a Christian– and that is to not pay any attention to Jesus in any way. There is a great blessing in this story. Just as Jesus was a guest in the home of Mary and Martha, Jesus wants to be a guest in your home and in your life– every day he wants to be with you. And, Jesus wants you to be with him. He wants your attentiveness, he wants you to hear his word, he wants you to serve him. There is that command in the story for all of us, that we not get distracted and forget that one thing needful. But then beyond the command, there is great freedom. Not everyone has to do everything. We can all find our chosen ways to pay attention and to serve. And in those ways we pay attention to that one thing needful our lives are blessed, both now and forever. Hebrews 2:1 — We must pay the most careful attention, therefore, to what we have heard, so that we do not drift away. The very busy Martha complained to Jesus about her sister Mary who just sat there and did not help with any of the work. But Jesus told her she was worried and upset about too many things, and that only one thing was needed, saying, “Mary has chosen what is better, and it will not be taken from her.” Mary was listening to Jesus, says verse 39. That’s what we should be doing when you have the chance. We should not, like Martha, allow anything to distract us from that all important, one thing needful. Yes, of course, the work has to get done. But when we have the chance to hear the Word of the Lord, we should not ignore it. That’s the meaning that is usually seen in these verses, and that I believe is a true and accurate application of the story. But let’s take a different approach, and see if there is something more in the text. Let’s put ourselves into the story and imagine ourselves in the position of Mary and Martha. What would you do? How would you act, if you knew Jesus was coming to visit you at your house this evening? You would, of course, want to do everything just right. But what would be ‘just right’ for Jesus? To begin with, you would probably want to use your very best dishes and silverware. 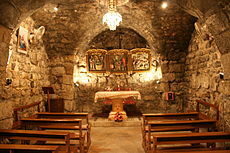 After all, if you would not use all those nice things for the Son of God, when would you use it? Jesus would be the most honored guest one could ever have. Certainly you would want to use all the very best. Or would you? Jesus wasn’t the type to be impressed with fine things. In fact, he often was very critical of any show of wealth. Didn’t he tell one wealthy young man to ‘SELL’ all he had and give it to the poor, and then come and follow him? Doesn’t the Bible say that if you have two shirts, give one to the man who has no shirt at all? Maybe paper plates and plastic spoons and forks would be more Jesus’ style. It would look more ‘humble,’ and humility might be what is called for in this situation. But then again, would paper plates show proper honor to Jesus? After all, there was that story of the guilt-ridden prostitute who came and anointed Jesus’ feet with a very expensive perfume. Judas objected, saying, “Just think of how many poor people could have been fed with the money used to buy that perfume.” But Jesus defended the woman’s extravagant and expensive act of honor, saying that often quoted line about how the poor will always be with you, but the time for honoring him was short, because he had only a little while left on this earth. So what would you serve Jesus, prime rib, or, a peanut butter and jelly sandwich; and then empty the cupboards and take everything else to the local food shelf? After all, doesn’t the Bible say if you have any extra food you should share it? What does that say to a people with cupboards, freezers, and refrigerators chocked full? What would be the right thing to do if Jesus came to visit at your house? Certainly you would want to please your guest. But would Jesus be pleased with showing him honor, or with a show of humility? Maybe you could ask Jesus about these things when he is there. After all, don’t those verses about giving away your shirts and your food just mean ‘be willing’ to give up all that if necessary? That doesn’t mean you have to have empty closets and cupboards, does it? After all, doesn’t the Bible say you should be like the ant who works hard and stores up food for times of need? Weren’t the wise maidens in the parable praised for having purchased enough oil ahead of time, for being prepared by having extra on hand? Maybe you could ask Jesus about all that. Maybe. But then again, you might not. Jesus had a way of making his questioners very uncomfortable. He was always challenging them, always seeing their hypocrisy, always forcing them out of the own selfish concerns. You might want to be careful about what you say. That brings up another question. What would you talk about with Jesus? It is all enough to make one very nervous about such a visit. And if the very thought of it isn’t already making you uncomfortable, consider this. Not only would you have to be concerned about serving the right food in the right way, and not only do you having to be concerned about what to talk about, you have to be worried about what you think about. Remember, Jesus could read minds. He knew all the thoughts of all those around him. How would you like to have a conversation with someone who knows at every moment exactly what you are thinking? There are old hymns about how nice it would be to walk and talk with Jesus, but I think walking and talking with Jesus might make me very uncomfortable. Matthew 22:46 — No one could say a word in reply, and from that day on no one dared to ask (Jesus) any more questions. This meditation is the final of three from the apocryphal book of II Maccabees (See also Meditations #441 and #463). It tells the story of God’s judgement upon the wicked King Antiochus IV whose persecution of the Jews had caused so much suffering. 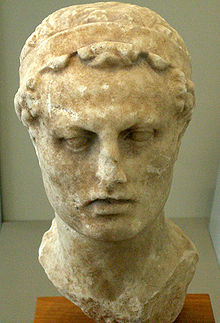 King Antiochus, filled with anger, decided to avenge upon the Jews the disgrace that had been done to him. Therefore, he commanded his chariot man to drive without ceasing so that they could get to Jerusalem quickly. He had proudly boasted that he would come to Jerusalem and turn the whole city into a graveyard of Jews. But the judgment of God was following him. And then the Lord Almighty, the God of Israel, attacked him with a sudden and incurable illness. As soon as Antiochus had spoken those words against the Jews, a pain of the bowels came upon him, and he was severely tormented in his inner parts, and he could find no relief. And that was just, for he himself had attacked and tormented so many others and had made them suffer without relief. However, even then he did not cease from his bragging, but still was filled with pride, breathing out fire in his rage against the Jews, and commanding his chariot man to drive even faster. But as they were speeding along, it came to pass that Antiochus fell out of the chariot. It was such a violent fall that now his whole body was in great pain. And thus, he who just little while earlier had thought he was so great that he could command even the waves of the sea and rule even the high mountains, was now thrown onto the ground, unable to raise himself up. He had to be lifted and carried on a horse litter, showing forth unto all the manifest power of God. And then it came to pass that due to his illness and injuries, worms afflicted the body of this wicked man, and while he yet lived in agony and pain, his flesh rotted away, and the filthiness of his smell was unbearable to his entire army. And this man, who had once thought he could reach to the stars of heaven, could not even be carried on the litter, because no man could endure his intolerable stench. This wicked man then made a vow unto the Lord, saying that the holy city, which he was going to level to the ground and turn into a cemetery; would instead be set free. 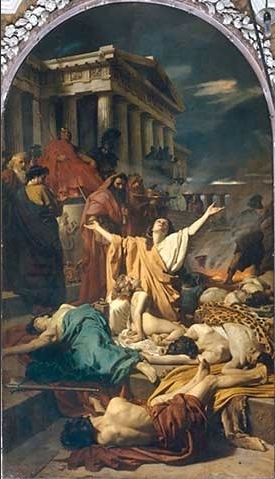 And the Jews, whom he had before not judged worthy even to be buried, but were cast out with their children to be devoured by the wild beasts; he would now make them all equals to the citizens of Athens. And the holy temple, which before he had spoiled; he would now decorate with fine gifts, restoring all the holy vessels and adding more; all this out of his own revenue. In fact, he said that he would become a Jew himself, and go through all the world, declaring the power of God. But for all this his pains would not cease, for the just judgment of God had come upon him… And so then the murderer and blasphemer, having suffered most grievously, as he had made others suffer, died a miserable death in the mountains of a strange country. II Maccabees 6:13-15 — It is a token of God’s goodness when wicked doers are not left alone too long, but punished without delay. For this is not as it always is with other nations, whom the Lord might wait patiently to punish, until they have piled sin upon sin, and receive then the most severe punishment. This story from II Maccabees chapter seven comes right after the account of the martyrdom of Eleazer (Meditation #441). Christians do not have the same prohibitions against eating pork, but that was God’s Old Testament law for the Jews. In this account Syrian King Antiochus had made the breaking of that command the visible act by which he would force the Jews to renounce their faith in God (170 B. C.). This is the inspirational story of one family’s refusal to do so. Their last words bear witness to a profound trust in God which allowed them to courageously die a most horrible death, confidently anticipating the resurrection to life everlasting. Then the third brother was brought in, and without delay, he put out his tongue and held out his hands, saying courageously, “I have received these from God, and for God’s sake I gladly give them up, and from God I hope to receive them again.” The king and those with him marveled at the young man’s courage, for he regarded as nothing the pains he was to suffer. Then the king, being in a rage at being so mocked, handled him worse than all the rest. So the young man died undefiled, putting his whole trust in the Lord. And then, after all her sons, the mother died. Jude 1:21 — Keep yourselves in God’s love as you wait for the mercy of our Lord Jesus Christ to bring you to eternal life. Revelation 2:10 — Do not fear any of those things which you are about to suffer. Indeed, the devil is about to throw some of you into prison, that you may be tested, and you will have tribulation ten days. Be faithful until death, and I will give you the crown of life. Lord Jesus Christ, by your death you took away the sting of death: Grant to us your servants so to follow in faith where you have led the way, that we may at length fall asleep peacefully in you, and wake in your likeness; for your tender mercies’ sake. Amen. In an essay entitled “Message in a Bottle,” Walker Percy asks the reader to imagine a group of people stranded on an island in the middle of the ocean (this simple meditation is based very loosely on that scholarly essay). The island is beautiful, the weather is great, and there is plenty of food and water; but it is not home, and all those folks stranded there would like to get home. But there is only one person out of all of them who is serious about really doing anything to help make that happen. Let’s call him John. Right from the beginning when they were stranded after a shipwreck, John was telling everyone that they must make some preparations to help them be seen and get rescued. “We must constantly be on the watch for passing ships, or for airplanes, and then we must be ready to signal them,” he would say. “We must build a great pile of wood that we can light at any time, and with a huge fire call attention to ourselves.” The others helped John build the wood pile, and for a while, they took turns keeping watch. But as time went on and no one ever saw anything, most of them gave up hope of ever being discovered. John, however, never gave up hope, and spent every spare moment watching the sky and the horizon for any sign of a plane or a ship. One day, while on the beach, John made an amazing discovery. A glass bottle had washed ashore, and in the tightly corked bottle there was a message. John, filled with hope, quickly opened the bottle and read the message. It said, “The Boston Red Sox won the World Series in six games.” What a strange message, he thought. Where did it come from? Does this mean someone knows that we are here? And if so, why would they write such a trivial message? And most importantly, would they write again? John then looked around, and saw several more bottles on the beach. With great excitement, he collected the bottles and read the messages– and then he saw still more bottles and more messages, all dated, and sent over a period of several months. He read them all, and what a strange assortment of messages it was. Here are a few: “Congress in gridlock over budget battle… Meryl Streep is nominated for yet another Academy Award… Actor Peter O‘Toole dies at the age of 81… Stock market gains 150 points in a single day… Stock market drops dramatically… Canada again wins Olympic Gold in hockey… Last winter was one of the coldest on record…” And so on. What strange messages, he thought. Why would anyone even bother to send such an assortment of useless information? He said to himself, “I don’t care about Academy Awards or sports or politics or the stock market. I want to get off this island.” In disgust, he almost threw all the messages back into the ocean– but then John saw one more bottle. He first ignored it, thinking it was probably just more of the same, but out of curiosity he opened it and read the message. And this one was different. It said… “I know you are out there somewhere, and I will come to rescue you. Build a fire and keep it going. I will be leaving soon to try and find you. Remember, keep the fire going so I can spot you. It is a big ocean and I have only a vague idea where you are.” This note was dated quite recently, and it was just the kind of message John had been hoping to find. This was what he had been waiting for ever since they were stranded on that island. This story is a parable on modern life. Like the many messages floating in from the sea, we have on our radios, TVs, smart phones, and computers an endless flow of information and entertainment, and the opportunity to read or watch or hear whatever we want all day long. But the problem is we become more and more obsessed with the trivial, and less and less familiar with what is most important. People are up to date on every Hollywood scandal, or know every detail about the Minnesota Vikings, but cannot name even half of the ten commandments, nor can they quite remember what Good Friday and Easter is all about. And they pay little attention to what might happen after the moment of death, toward which we are all racing, nor do they pay any attention to what preparations might have to be made for when that time comes. Most people have somewhere in their house a copy of the Holy Bible. Like the messages in the bottles, these are words from another place. Also, like the messages in the bottles, these are words from Someone who can rescue us from the troubles and sadness and shortness of this life. Here is just one verse from that Bible, Romans 6:23: “For the wages of sin is death, but the gift of God is eternal life in Christ Jesus our Lord.” In that one verse is described our desperate situation, and, our hope for rescue. We are sinners, it says, and that isn’t only a harsh judgment coming in from outside of us. We feel the misery of our sinfulness in our own heart and soul. Don’t you ever get wearied by troubled relationships, tired of making mistakes, of saying the wrong thing; tired of forgetting to be kind and understanding; tired of yielding to temptation, and tired of not being the sort of person you know you should be and want to be. That is sin, and the wages of sin is death, says the verse. And you don’t even need the Bible to tell you about death. We all know that our little journey here is this earth is brief, and goes by way to fast, and then it is over. But, says the second half of the verse, there can be more. There is in fact a whole eternity to be had, as the gift of God, in Christ Jesus, for all who will believe in Him. This is worth hearing about, and believing in, and paying attention to. In the New Testament book of Revelations there is a message similar to that message from across the sea, in fact, it also was given to a man named John. This message is from across the ages,-– it is a revelation, like the name of the book says, a vision, from the distant future. And it also is from a place where we all want to go. We don’t want to just be obliterated into dust and ashes when we die, we would like to go on to a better place. And this vision in Revelation is from a better place– a place beyond the grave, where God will live with us, a place where, as it says in chapter 21, there will be no more suffering, no more tears, no more death or grief or crying or pain. If there were such a place, and Christians believe there is, would we not long for it even more than one stranded on an island would hope for a return home? This message that John received from across the ages, and which he brings to us, is the most important message we could ever receive. But does this message get the attention it deserves? Or is there for so many people, a much deeper interest in other things, things of infinitely less value? Of course, there can be a legitimate, lesser interest in sports or politics or the stock market– but if our interest in those kind of secondary issues begins to leave no time for or room for any attention to be paid for things of eternal value, then we are most surely to be pitied, and like those on the island, will remain lost. The messages in the bottles along the seashore gave rise to many unanswered questions: Where did these messages come from? Who sent them? Can they really help me? But even without answers to all the questions, it was most reasonable for John to want to build a fire, to do as he had been told. In those messages there was a reason for hope, and something well worth putting one faith and effort into. There had been no other hope, no other communication from across the sea. Why would one not want to pay closest attention to that message? Why would the others run after only the most useless information? We live our whole lives in a life and death situation, every minute of every day we live in what the Bible calls ‘the valley of the shadow of death.’ That should change our perspective on the value of everything: what we spend our money on, what we pay attention to, and to what we devote our time and energy. In an instant all can be taken away; or I should say, as we well know, in some future instant all will be taken away. But the Apostle John tells us that he saw in his message from across the ages, that even though all will be taken away, all will then be restored, and what will be made new will be better than ever. This is a message worth paying attention to, and it is to be found only in Jesus Christ. There is no other offer on the table. This is a message worth believing in, and trusting in, and honoring and obeying. For the time will come when it will not matter if Vikings win a Super Bowl, or if the stock market is up or down, or if yet another celebrity marriage is rocked by scandal, or if the Democrats or the Republicans are in charge. What will matter is that we heard and believed in God’s gift of eternal life, ours by faith in Jesus Christ. Pay attention to these messages from the Bible. For there in that Word of God is offered your only chance to ever get off this dangerous little island we call we call our world, alive. Deuteronomy 32:47a — They are not just idle words for you— they are your life. Let not thy Word, O Lord, become a judgment upon us, that we hear it and do it not, that we know it and love it not, that we believe it and obey it not: O Thou, who with the Father and the Holy Spirit lives and reigns, world without end. Amen. Christians cannot be distinguished from the rest of humankind by country, speech, or customs. They do not live in cities of their own; they do not speak a special language; they do not follow a peculiar manner of life. Their teaching was not invented by the ingenuity or speculation of men, nor do they advocate mere book learning, as other groups do. They live in Greek cities and they live in non-Greek cities according to the lot of each one. They conform to the customs of their country in dress, food, and the general mode of life, and yet they show a remarkable, an admittedly extraordinary structure of their own life together. They live in their own countries, but only as guests and aliens. They take part in everything as citizens and endure everything as aliens. Every foreign country is their homeland, and every homeland is a foreign country to them. They marry like everyone else, and beget children… They are in the flesh, but they do not live according to the flesh. They live on earth, but their citizenship is in heaven. They obey the established laws, but through their way of life they surpass these laws. They love all people and are persecuted by all. Nobody knows them, and yet they are condemned. They are put to death, and just through this they are brought to life. They are as poor as beggars, and yet they make many rich. They lack everything, and yet they have everything in abundance. They are dishonored, and yet have their glory in this very dishonor. They are insulted, and just in this they are vindicated. They are abused, and yet they bless. They are assaulted, and yet it is they who show respect. Doing good, they are sentenced like evildoers. When punished with death, they rejoice in the certainty of being awakened to life. Jews attack them as people of another race, and Greeks persecute them, yet those who hate them cannot give any reason to justify their hostility…. How they are thrown to the wild beasts to make them deny the Lord! How unconquerable they are! Do you not see that the more of them that are executed, the more do the others grow in number? That is clearly not the work of men. That is the power of God. That is proof of his presence. In a word: what the soul is in the body, the Christians are in the world. As the soul is present in all the members of the body, so Christians are present in all the cities of the world. As the soul lives in the body, yet does not have its origin in the body, so the Christians live in the world yet are not of the world. Invisible, the soul is enclosed by the visible body: in the same way the Christians are known to be in the world, but their religion remains invisible. Even though the flesh suffers no wrong from the soul, it hates the soul and fights against it because it is hindered by the soul from following its lusts; so too the world, though suffering no wrong from the Christians, hates them because they oppose its lusts. The soul loves the flesh, but the flesh hates the soul; as the soul loves the members of the body, so the Christians love those who hate them. The soul is enclosed in the body, yet it holds the body together; the Christians are kept prisoners in the world, as it were, yet they are the very ones who hold the world together. Immortal, the soul lives in a mortal house; so too the Christians live in a corruptible existence as strangers and look forward to incorruptible life in heaven. When the body is poorly provided with food and drink, the soul gains strength. In the same way the number of Christians increases day by day when they are punished with death. Such is the important task God has entrusted to the Christians and they must not shirk it. Romans 12:2 — Do not conform any longer to the pattern of this world, but be transformed by the renewing of your mind. Then you will be able to test and approve what God’s will is— his good, pleasing and perfect will. Hebrews 11:13-14 — All these people were still living by faith when they died. They did not receive the things promised; they only saw them and welcomed them from a distance. And they admitted that they were aliens and strangers on earth. People who say such things show that they are looking for a country of their own. I Peter 2:9-12 — But you are a chosen people, a royal priesthood, a holy nation, a people belonging to God, that you may declare the praises of him who called you out of darkness into his wonderful light. Once you were not a people, but now you are the people of God; once you had not received mercy, but now you have received mercy. Dear friends, I urge you, as aliens and strangers in the world, to abstain from sinful desires, which war against your soul. Live such good lives among the pagans that, though they accuse you of doing wrong, they may see your good deeds and glorify God on the day he visits us. MORNING PRAYER by Edmund Gibson, Bishop of London (died 1748): Since it is of thy mercy, O gracious Father, that another day is added to our lives; We here dedicate both our souls and our bodies to thee and thy service, in a sober, righteous, and godly life: in which resolution, do thou, O merciful God, confirm and strengthen us; that, as we grow in age, we may grow in grace, and in the knowledge of our Lord and Savior Jesus Christ. Amen. 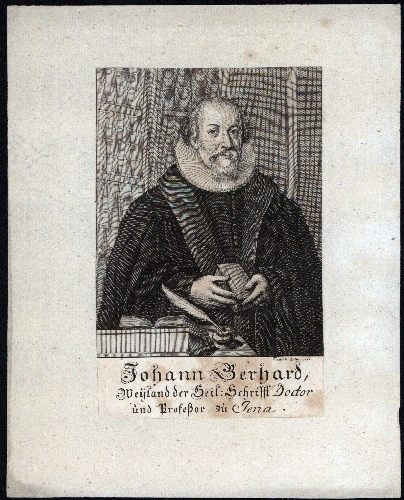 By Johann Gerhard (1582-1637), a German Lutheran pastor and professor of theology. He wrote dozens of books, including Sacred Meditations, a collection of 51 meditations published in 1606. Why would you delay repentance? Why put it off until tomorrow? That tomorrow shall come is not certain, but that everlasting destruction shall overtake the impenitent is certain. I Corinthians 15:35-38…42-44 — But someone may ask, “How are the dead raised? With what kind of body will they come?” How foolish! What you sow does not come to life unless it dies. When you sow, you do not plant the body that will be, but just a seed, perhaps of wheat or of something else. But God gives it a body as he has determined, and to each kind of seed he gives its own body… So will it be with the resurrection of the dead. The body that is sown is perishable, it is raised imperishable; it is sown in dishonor, it is raised in glory; it is sown in weakness, it is raised in power; it is sown a natural body, it is raised a spiritual body. Having passed over this day, Lord, I give thanks unto Thee. The evening draweth nigh, make it comfortable. As there is an evening of the day, so there is an evening of this life, the evening of old-age. Old-age hath seized upon me; make that comfortable. Do thou forgive and receive and save me, O Lord. Tarry thou with me, O Lord, for it is toward evening with me, and the day is far spent, (Luke 24:29) of this my toilsome life. Let thy strength be made perfect in my weakness (II Corinthians 12:9). AMEN. Sigird Undset was a Norwegian novelist who was awarded the Nobel Prize for Literature in 1928. Her parents were atheists, but still they had her baptized in the Lutheran church because it was customary in that day, whether or not the parents had any faith (sometimes that happens yet today). She spent many years as an agnostic, but gradually moved toward the Christian faith, and at age forty-two joined the Roman Catholic church to worship the Lord in whom she had come to believe. Undset’s novels, placed in both the Middle Ages and modern times, deal primarily with family life and its struggles. From the anguish of her own troubled and tragic relationships, and from the perspective of her faith, she was able to tell stories that powerfully depict for us the lesson that our lives are intertwined with the lives many others, and our good and bad choices will have profound consequences on those we love, now, and long into the future. This is not a new lesson, but it is a necessary one in a time when so many people have come to feel that their primary obligation is to their own personal fulfillment and happiness. One reviewer commented that Undset’s life and work bear witness to the Old Testament truth that sins of the fathers (and mothers) will be ‘visited upon even the third and fourth generation;’ and this, not as an arbitrary punishment inflicted by God from the outside, but as the consequences of our sins against others. Undset’s 1917 novel Images in a Mirror portrays the unhappy marriage of Uni, a former stage actress, to a man who no longer fulfills her dreams of romantic love. Along with the frustration of her stale marriage, Uni has given birth to five children in ten years, and she is tired. The death of one of her children has further weakened her confidence in ever finding a lasting joy in her family. So Uni goes out looking for some kind of missing excitement, and seems to find what she needs in an affair with another man. Now she is happy again. But before long, she is neglecting her children. Uni does not at first notice this, but she is unexpectedly called back to herself by a friend. Uni is stunned when this friend tells her that she misses the way Uni used “to sing to the children in the evening.” Uni’s recognition that she has indeed been neglecting these children that she really does love, leads to a change of heart. She leaves her affair and returns to her husband. There is a painful confrontation, but they do work things out, and they continue on together as a family. “A thousand little gleams”– this is where happiness can be found. Happiness may be found in recognizing and receiving and appreciating these little gleams when they come. But happiness will never be found where many people think they will find it– in once and for all getting all our ducks in a row, having everything in order, removing all the frustrations from our lives, and finally getting away from all unpleasant people and their burdensome claims on our life. All of that will not happen, and if we insist on happiness on that basis we will never be happy. But through Uni’s reflections, Sigrid Undset is teaching us that even in the midst of the ever-present frustrations, we can find happiness in these thousand little gleams. And this applies not only to the joy we find in children, but to all of life, with or without marriage, with or without children. God has indeed given all of us so much for which to be grateful. Exodus 20:14 — You shall not commit adultery. Psalm 127:1a…3 — Unless the Lord builds the house, the builders labor in vain… Children are a heritage from the Lord, offspring a reward from him. Psalm 136:1 — Give thanks to the Lord, for he is good. His love endures forever. Colossians 3:23-24 — Whatever you do, work at it with all your heart, as working for the Lord, not for human masters, since you know that you will receive an inheritance from the Lord as a reward. It is the Lord Christ you are serving. Kay Coles James grew up in the segregated South of the 1950’s. She and her five brothers lived in a government housing project in one of the poorest black neighborhoods in Richmond, Virginia, raised by their single mother. 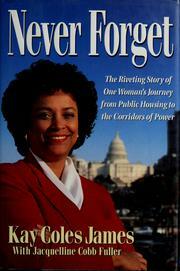 This story is from her 1992 book Never Forget (pages 45-47). We often heard lectures on the value of hard work, the importance of education, and such. Of course none of these sermons, though they certainly had their place, was as effective as the living example of my mother. We watched her board a bus in the cold morning hours and return after sunset, tired but ready to cook and clean for her own family (after her job of cooking and cleaning for others all day). Her daily routine taught us the dignity of honest work and the incomparable satisfaction of earning a living. These principles of living applied even when our sparse diet of chicken and biscuits was cut back to biscuits and ‘fat back.’ A standard dinner was Hungarian goulash– Mama’s name for hamburger meat with canned spaghetti and any leftovers in the refrigerator. We ate kidneys and rice when we were lucky. It used to kill us on Sunday afternoons to walk home for dinner across the neighborhood and smell fried chicken wafting through the air. That smell almost got my brother killed… by Mama. Some of Ted’s friends figured out that the kitchen at the elementary school could be broken into fairly easily since it had only a single lock. Now Ted was a tagalong and, true to form, he went along with them when they broke into the school’s walk-in refrigerator and stole some of the plucked chickens hanging there for school lunches. You can imagine our joy (and surprise) to see Ted come in the back door with his hands full of chickens. We started jumping up and down and doing something like a square dance right there in the kitchen. None of us had asked where he got them, knowing somewhere in the back of our minds that it’d be best not to. But there was no sense in trying to fool Mama once she got home. She had that sixth sense that mothers have that tells them exactly what their children have been up to no matter what story they come up with. She knew that Ted hadn’t bought the chickens, but she wanted to hear his story. He just flat out told her he had taken them from the school, banking on the fact that she would see it as he did: not really stealing, since the school seemed such an impersonal storehouse. Stealing from the school was not like slipping into the back of Ike’s Grill and making off with some of his spiced shrimp– now that was stealing! Taking things from the school was somehow different in our minds, but not in Mama’s. That was all she said before she turned and opened the back door. We all watched bug-eyed as she flung those chickens into the back yard. My brothers and I remembered that incident whenever anyone from another part of town called us “project niggers.” Because of Mama’s high standards, we knew who we were. We might have grown up in a public housing project, but Mama raised us at home. A lot of struggling single-parents and courageous grandparents know what I mean when I say that the circumstances a child grows up in are far less important than the character of the person who raises them. We tease each other a lot about the chicken story, but the part about Mama’s throwing them out the back door is always told with a certain bit of pride because the other mothers accepted the stolen chickens and cooked them that night for dinner. Our mama didn’t. One simple incident taught us so much about honesty and integrity. The other boys learned that if their mother would accept stolen chickens, then she would probably take drug money as well. The early lessons that those boys missed cost many their freedom and some their lives. Mama’s teaching about honesty and hard work helped define us as individuals. We knew who we were. Kay Coles James has had many leadership roles in government and nonprofit organizations: She was Virginia’s secretary of Health and Human Resources and President George W. Bush’s director of the U.S. Office of Personnel Management, and is now president of the Gloucester Institute, a leadership training center for young African-Americans. Exodus 20:15 — Thou shalt not steal. Almighty God and heavenly Father, we thank you for the children which you have given us; give us also grace to train them in your faith, fear, and love; that as they advance in years they may grow in grace, and may hereafter be found in the number of your children; through Jesus Christ our Lord. Amen. Louis Zamperini died July 2nd at the age of 97. By 1943, he was at war in the Pacific as a bombardier. Lieutenant Zamperini crashed in the Pacific when his B-24 developed mechanical problems. Of the eleven crew members, only Louis and one companion survived, enduring 47 days on a raft in shark-infested waters. He was then captured by Japanese forces and sent to a prison camp for two years, where he was tortured almost daily. 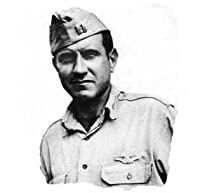 One Japanese camp sergeant, nicknamed “the Bird,” beat Louis over and over in a psychotic fury. Louis would later say, “Pain never bothered me. Destroying my dignity stuck with me.” The U.S. military had even declared him dead. Somehow though, Louis survived. He married Cynthia in 1946, but struggled with rage, nightmares, alcoholism, and depression. One night he even woke up to find his hands around his wife’s neck. Something had to change. In 1949, Cynthia went to the Los Angeles Billy Graham Crusade. She urged Louis to go along. He initially refused, but then he relented and went. There he heard the Good News of forgiveness in Christ, trusted in the Lord, and began a personal journey of forgiveness that has touched the world. In his autobiography Devil at My Heels, Louis said, “I think the hardest thing in life is to forgive. Hate is self-destructive. If you hate someone, you’re not hurting the person you hate, you’re hurting yourself.” So in 1950 he went back to Japan and preached a message of forgiveness and love to imprisoned war criminals who had hurt him, and even threw his arms around them. What a picture of doing good to one’s persecutors! But he wasn’t finished. When Louis was 81, in 1998, he ran part of the Olympic Torch relay for the Winter Games in Nagano, Japan. While there he sought out “the Bird” to offer forgiveness. Tragically, the old prison guard, who had somehow avoided prosecution as a war criminal, refused to even see him. But at least Louis tried. Unbroken, the best-selling biography of Zamperini by Laura Hillenbrand, was released in 2010. Next year, Angelina Jolie will release a major motion picture based on his life. Speaking about Louis’s death, Jolie said, “It is a loss impossible to describe. We are so grateful for how enriched our lives are for having known him. We will miss him terribly.” Let’s pray that the Christian secrets of Zamperini’s greatness don’t get left on the cutting room floor. And as we’re praying with thanksgiving for his life and impact, let’s remember anew how stories like Zamperini’s can point a wayward culture to grace and truth. 2 Corinthians 5:17 — Therefore, if anyone is in Christ, he is a new creation. The old has passed away; behold, the new has come. Whereas if I lose the world and gain you, in the end I have lost nothing.